As much as you love those bison quinoa meatballs, waiting in the checkout line at Whole Foods is an exercise in patience... and coexisting with people named Moonbeam. But you can totally cut the line now without being a jerk, by using the chain's new online grocery delivery service. Through a partnership with San Francisco's Instacart, Whole Foods is set to launch online grocery delivery (and in-store pick-up) in 15 cities. Shoppers will simply place orders through the Instacart website or mobile app, and then the in-store Instacart gopher will gather up their groceries for delivery. The first time, it's even free. After that, it's $5.99 for a one-hour delivery, $3.99 for a two-hour drop, or $99 for a VIP annual membership. Boston and Austin will be the first guinea pigs, with in-store pick-up coming to select locations in those cities in the coming month. 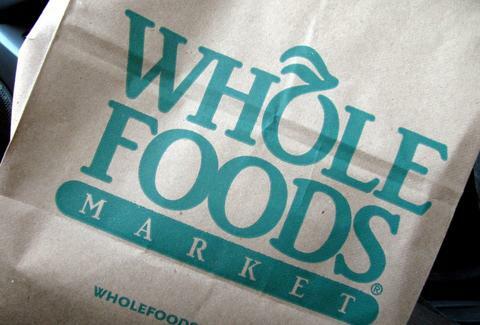 After that, Whole Foods and Instacart are looking to hit Atlanta, Boulder, Chicago, Denver, Houston, Los Angeles, New York City, Philadelphia, Portland, San Francisco, San Jose, Seattle, and Washington DC. We can't say for sure how fast the expansion will be, but, Whole Foods Lotharios, you should probably start looking for another place to pick up girls. Kristin Hunt is a food/drink staff writer, and would like clarification on the Whole Foods beer delivery options. Follow her at @kristin_hunt.